The Pet Lovers Foundation was established by Pet Lovers Centre (PLC) as a non-profit organisation with a mission to serve Pets, People and our Planet. 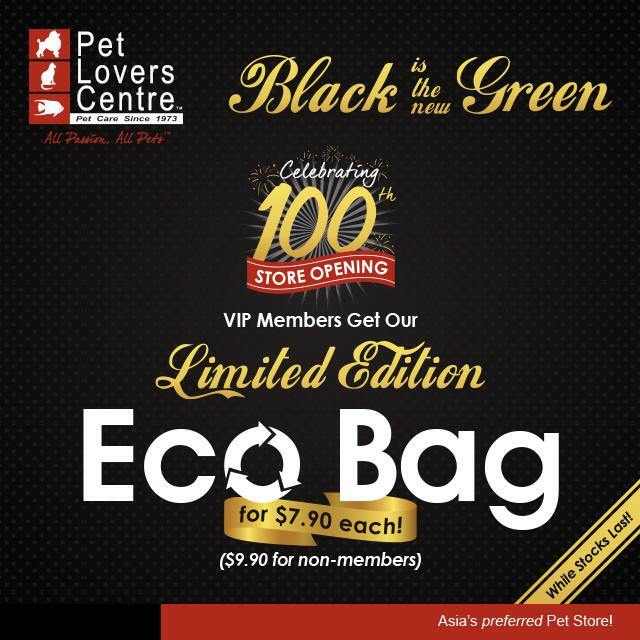 We’ve created a limited edition eco-bag that’s elegant and functional, to commemorate the opening of our 100th store! We donate a portion of the proceeds to the Pet Lovers Foundation, so every purchase helps save a stray, lost or abandoned animal.